In Four Pillars astrology, the presence of lots of Fire and Water elements in the horoscope often is considered to suggest heavy disease, and sometimes even cancer. In Chinese astrology this kind of clash between Fire and Water is called "War between Water and Fire" (shui huo xiang zhan) 水火相战 . If one has a weak Fire and too much Water in the chart, then the Water will extinct the Fire. If the water is weak and the Fire is too strong in the chart, then the Fire will self-burn and cause different problems. A balance between Water and Fire is needed in order to achieve a harmony in the chart. In TCM and Chinese astrology this is called: "Coordination between Water and Fire" (shui huo ji ji) 水火既济. How to achieve this coordination? In respect of Chinese astrology, the Wood element is needed to smooth and coordinate the relations between Water and Fire. In this way, it is achieved a good flow of energy among the elements (from the cycle of mutual creation of the five elements): Water - Wood - Fire. 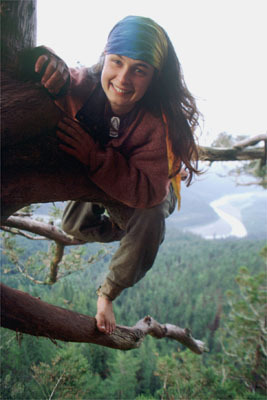 In a case that there is no Wood in the horoscope, then the Wood element could be supplemented by the means of Feng Shui or through other ways - increasing the presence of green color in the house, adding some green plants, eating more food and herbs, which can supplement the Wood element and balance the energy of Fire (Heart) and Water (Kidneys). No wonder that green herbs like dandelion, plantain and purslane have been proven to possess anti-cancer properties. 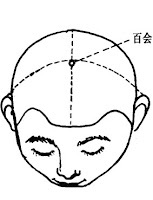 During deep qigong meditation one achieves the state of wuji 无极 - without boundary. Without limits like the infinite universe. As the ancient sages in China say, the Universe is "so big that it has no end, and it's so small that it has no inner [matter]". 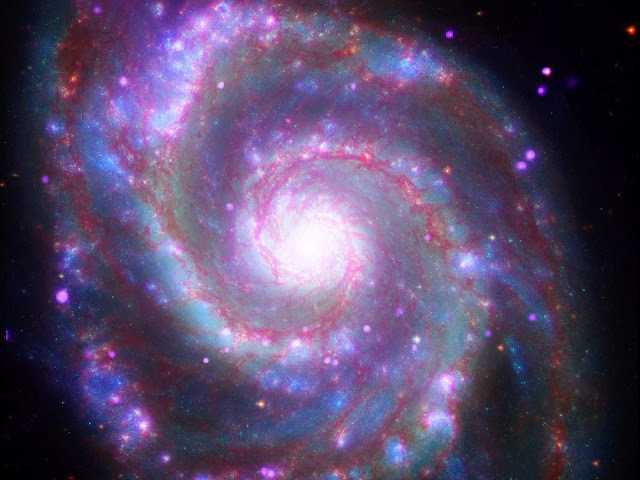 The matter and the energy in the cosmos can transform and expand without limits and shrink and divide without end. A few years ago, when I was visiting the Buddhist monk d-r He Xiaorong in Hunan Province in China, together with her we made a trip to the Mountain of White Clouds Bai Yun Shan 白云山. On the top of the mountain there is an abandoned Taoist monastery. The air there is very unusual - saturated with pure energy and lots of negative ions. Even if you don't do meditation, the feeling is as if you are in meditation - it's full of energy there! The text of this poem is related to the energy phenomena that occur within the body during qigong meditation. This poem tells about the opening of the deep "embryo cave" [here symbolically it means dantian - the energy center of the body], and during this wonderful process the energy unveils gently and activates three hundred rivers [the energy meridians and paths in the body]. On June 21st is the Summer Solstice. It represents an important time of the year, when Yang transforms into Yin. The energy in Nature is very powerful during the 3-4 days before and after this date. It is exceptionally valuable period for more meditation and relaxation. No wonder why in the past in China the people didn't work for 3 days duing the Summer Solstice. The Yi Jing hexagram that is linked to the Summer Solstice is Gou 姤 "Encounters" (hexagram #44). In this hexagram there are 5 Yang and 1 Yin. The Yang energy starts to decrease, while the Yin energy (represented by the broken line) - to increase. Different energy points of the body correspond to the different periods of the year. The Summer Solstice relates to baihui acupoint 百会 on the top of the head. At this time of the year, bai hui naturally opens up and the energy at this place is very sensitive and intense. From the Winter Solstice till now the energy climbs up through dumai 督脉 (the Governing Vessel) channel on the back of the body. Now, at the Summer Solstice, the energy is at the highest peak - bai hui point. Similarly, now we are at the longest days of the year. After the Summer Solstice the days become shorter and the Yang gives way to the Yin. Happy Summer (June) Solstice to all! 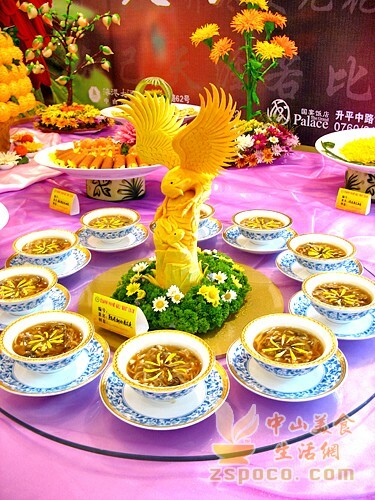 In Xiaolan town, Guangzhou province, China, there is a very special tradition - to host a Chrysanthemum Banquet only in the year of the Wood Dog. The Wood Dog Year (Jia Xu 甲戌) happens once in 60 years, so you can imagine what a rare event it is! 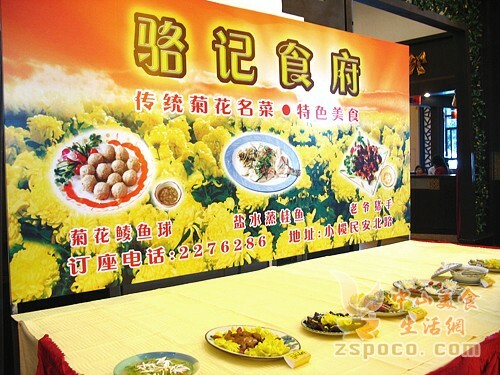 The tradition of the Chrysanthemum Banquet started in 1814 (year of Wood Dog), during the reign of emperor Jia Qing. Xiaolan town is famous for the cultivation of chrysanthemum flowers. In 1814 several local chrysanthemum societies joined together and in order to celebrate the event they organized a big chrysanthemum festival with a banquet of various chrysanthemum dishes. The Chrysanthemum Banquet was held again in 1874, 1934 and 1994 - four times altogether. The Eight Trigram Field is located in the beautiful Chinese city of Hangzhou. It is maintained since Song dynasty, which means already about 1000 years. In this field, different crops (soy, mung beans, aubergines...) are planted at the corresponding directions of the eight trigrams. What is the astronomic explanation of the stem & branch theory? This question has been in my mind for long time... There are different sayings about it. Some say that the stems and branches are the vertical and horizontal segments of Heaven, the place between North celestial pole and South celestial pole. And some people suggest that the stem & branches theory is very deep. It's so deep, that cannot be explained (like Dao), as it surpasses the information not only in time, but also in space and it goes beyond the knowledge of contemporary astronomy and science. Liang Juchao 梁启超（1873—1929）points out that the 22 characters of the heavenly stems and earthly branches have many similarities with the 22 letters of the Phoenician alphabet. According to Guo Moruo 郭沫若（1892—1978), the theory originates from Babylon and was later applied in China. Julia Butterfly Hill is famous for her actions to protect nature. 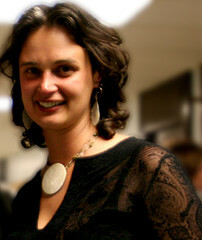 She has a very interesting horoscope, which corresponds to her interesting life. To me, the most striking feature in her horoscope is the presence of the triple Tiger branch. She is a real tigress! Tang Yin was born in the year of Metal Tiger, the month of the Tiger, the day of the Tiger and the hour of the Tiger... 4 times Yin (Tiger) branch in his natal chart! That's why his name is Yin - Tiger. And he is better known by his courtesy name Tang Bohu 唐伯虎, in which Bohu literally means "White Tiger", corresponding to his year pillar of birth - Geng Yin (Metal Tiger, or white tiger) . So, if Tang Bohu is the White Tiger, then Julia Butterfly Hill is the Green Tigress. If the heart/mind is not disturbed, the divination appears itself. 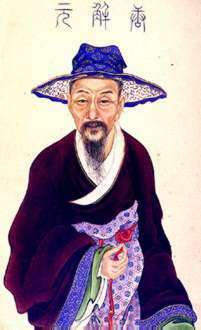 This is one of the best images of the Chinese philosopher Zhuang Zi which I have ever seen. The picture is taken in the year of 2000, when together with some friends I visited the Chu City (磨山楚城) on the Mo Hill in Wuhan City, China. In the Chu Celestial Terrace there were two wax figures - one of Lao Zi, and the other of Zhuang Zi. You can feel the strong energy coming from these figures about one meter away. 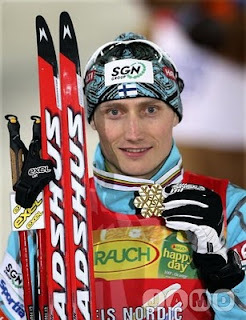 Hannu Manninen is a famous nordic combined athlete from Finland. While watching nordic combined event on Eurosport last year, the sports commentators often mentioned his name - "Hannu Manninen... Hannu Manninen..." and to me it sounded like "Hanuman" - one of the most popular gods in the Hindu pantheon, a noble hero and great devotee of Lord Rama. Hannu Manninen's date of birth is 17 April 1978. According to Chinese astrology, he is born in the day of Earth Rooster (ji you 己酉) and he has the rare symbolic star Progress star. For people born in the day of Earth Rooster the Progress star shows big progress in work - they may start from an ordinary level and often unnoticeably for the others they make fast and big progress, which leads to great success in the end. The nordic combined sport consists of two parts - ski jumping and cross-country skiing. It's interesting to see how the Progress star works nicely for Hannu Manninen: in the first part, during the ski jumping, his results are not the best ones, but later, during the cross-country skiing, he quickly comes from behind and often finishes first. That's the Progress star in action.